Ok, unless you’ve been living under a rock you’ve heard about the controversial Nick Spencer written Hydra Captain America story that’s been making waves throughout the industry. But is it as controversial as people think? And if it’s a gimmick – is that such a bad thing if it gets people reading comics? Sure, the majority of outrage (and death threats apparently) are coming from folks who don’t actually READ the comic, but speaking from experience, whatever gets butts in the seats is all right with me. So should we give him a boyfriend while we’re at it, as the hashtag suggested? Not necessarily. I’ll explain why that one might be too offensive to ever turn back from. 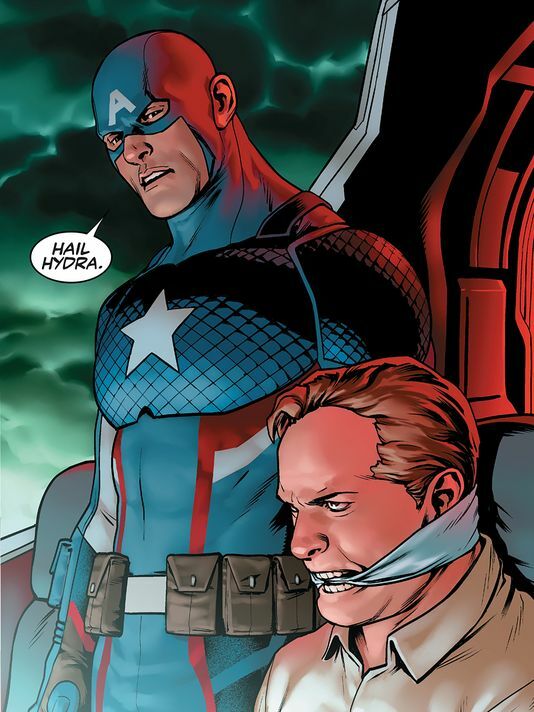 So sit back and join me and my guest, @PCUncovered columnist Marc Lombardi as we debate Hydra Cap. heck, even Chris Evans gets to throw in his opinion. We’ll also touch on Jeremy Irons stunning comments on Batman V Superman and more. Join us Wednesday 8:30 pm ET live via TalkingAlternative.com for the next episode of Secrets of the Sire. Missed anything? Catch up on previous shows like last week’s look at how Social Media is influencing our favorite franchises like Elsa and Cap? Is social progress at the expense of story a good thing?